Airtel to reinforce the offer of high definition TV in DTH and develops rigidity for the OTT application. Telecom operator Bharti Airtel has said it will continue to expand its direct home (DTH) business under Bharti Telemedia. 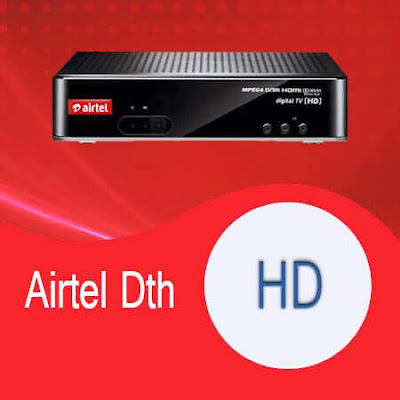 The DTH brand is known as Airtel Digital TV. A key focus area for the DTH operator will be to expand its high definition (HD) offering. HD is a key revenue stream for TV distribution platforms because the average revenue per user (ARPU) is higher than what they earn with the standard definition (SD) service. While DTH operators in the past have complained about capacity constraints, Bharti Airtel CEO Gopal Vittal has said that the company's DTH business faces no restrictions on the capacity front. For the quarter ending March 31, the DTH operator is offering a total of 649 channels, including 75 HD channels, 5 international channels and 4 interactive services. "We are going to strengthen the HD channels, Airtel Digital TV has about 75 HD channels from now on, in fact, there are no capacity limitations, that limits them," Vittal said in a conversation with analysts after the results of the fourth quarter. Previously, the company had said that HD subscribers now comprise more than a third of Airtel Digital TV's subscriber base. EBITDA of Bharti Telemedia for fiscal year 18 increased by 16% to Rs 1422.6 crore, while revenues increased by 10% to Rs 3,757 crore. Operating cash flow increased 9% to Rs 394.9 crore. The company closed the fiscal year with 14.2 million customers, while the average revenue per user (ARPU) stood at 228 rupees. The telecom operator is also improving its over-the-top (OTT) Airtel TV platform, as it seems to be fighting with Reliance Jio's JioTV on the content front. Airtel TV, which was recently renovated, offers more than 350 live TV channels and more than 10,000 movies and shows. It also has partnerships with Eros Now, Sony LIV and HOOQ, Hotstar and ALTBalaji. Airtel TV users have spent more than two billion minutes watching videos on the application since the beginning of the year, and soon the application is expected to reach 50 million downloads. Airtel TV had recently selected InMobi as a platform for video and visualization monetization. All the content of the Airtel TV application is free for Airtel Post-paid and Prepaid customers until June 2018. The service has 26-27 million monthly active users. Asked about the company's strategy for Airtel TV once the free period ends, Vittal said the company still does not know whether to keep the service free or make it pay. "Once we have that behaviour in place, it will be easier to charge a price for that content." How will you charge a question that remains to be answered, based on subscription, monthly, semi-annual, annual? In addition, he affirmed that video consumption in India is undergoing a tectonic change, which becomes more personal in nature, instead of community or group consumption. "The Airtel TV application currently acts as a content aggregator and has partnerships with Eros Now, Alt Balaji and Hotstar.The TV application is based on a highly scalable video delivery architecture integrated with our 4G network," said Vittal.